A virgin in the world of blogging. Not for long. I am a photographer, who enjoys social photography – anything that involves people. That includes studio portraits, candid street photography, event and sports – particularly football and motor sport. People are infinitely interesting. Even the same person can appear markedly different in different lighting or in different moods. Capturing what makes a person ‘tick’ is something that I am hooked on exploring. Most people, of course, want to look good in a photograph. Nothing wrong with that. But capturing that twinkle in the eye, that intimate glance, that challenging eye contact, its all about people. Update 17 August 2009: it may not have escaped your notice, I want to try all sorts of photography. I love digital, I love the freedom it gives you to be creative with instant feedback and no development costs or time (apart from in front of the computer). I never was a ‘wet’ photographer, but I would have loved to have been able to master the alchemy of the darkroom. I don’t think you should feel limited by just ‘doing’ one sort of photography. I love people photography the most, but it doesn’t stop me wanting to dip into other styles. Update: 8 September 2009: My image “Heat” has also been accepted for the Kent County Photographic Association’s Annual Projected Digital Image competition. I think it works best as a projected image: the projection light makes the fire more ‘alive’. Update: December 2009: I was pleased that 12 of my images from the Dartford Football Club matches were used to create an A3 limited edition 2010 calendar. Nice to see images used creatively and now looking forward to moving this idea forward for a calendar for 2011 for the new season. 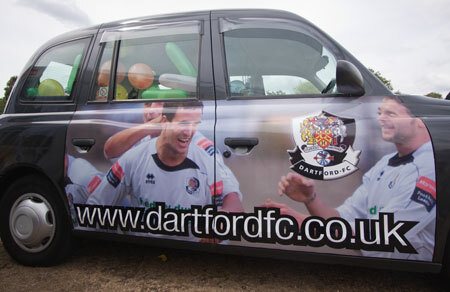 Update: July 2010: Dartford FC have used my images for a promotional background banner as well as on graphics for a taxi in the local area. The images below were taken at the Dartford Festival. Update December 2010: I thought I’d add in that I’ve created www.sportshotz.co.uk to showcase my rapidly growing sports photography. 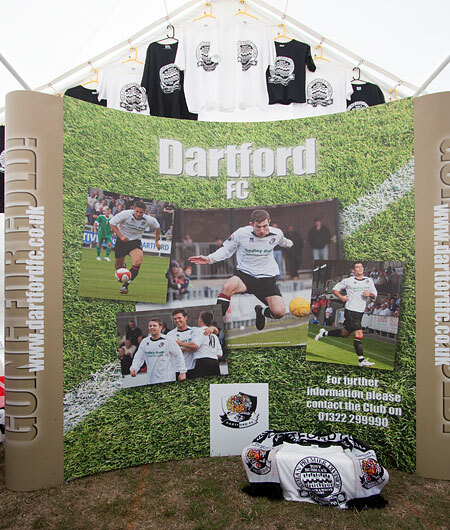 I have spent most weekends and some evenings over the past 12-18 months at Dartford FC’s football matches, a few local rugby matches, some cricket, indoor martial arts and all sorts of other things.